LONDON — The sexual harassment scandal sweeping UK parliament brought fresh allegations against lawmakers on Thursday, after the appointment of a new defence minister following the resignation of Michael Fallon. 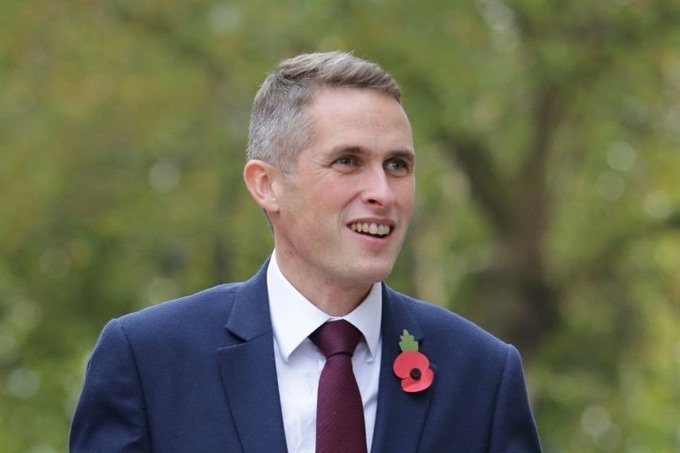 Prime Minister Theresa May named Gavin Williamson defence secretary on Thursday after his predecessor became the first casualty of a deepening scandal in British politics. Williamson, 41, is a trusted ally of the prime minister whose former job as chief whip involved enforcing discipline for May’s Conservative Party in parliament. 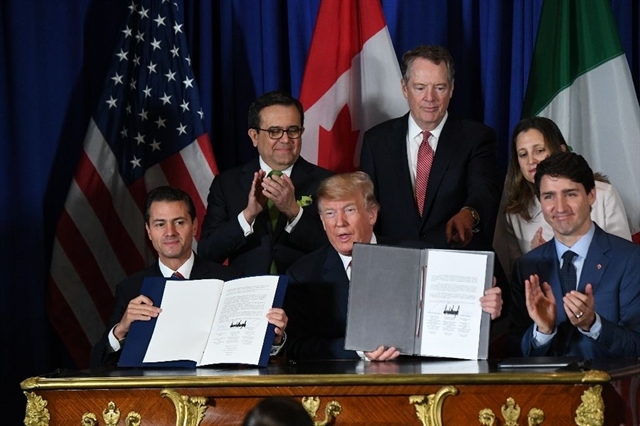 He was only elected to parliament in 2010 and is best known for having a pet tarantula, Cronus, that he keeps in a glass-sided tank on his desk. The new defence minister said he was "honoured and excited" by the promotion, adding he was "determined to ensure that the armed forces receive the recognition they deserve". But some questioned Williamson’s expertise for the job, considered one of the biggest and most challenging in the British government. According to "TheyWorkForYou", an online record of parliamentary activity, Williamson has asked only seven questions on defence since 2010. May’s Downing Street office responded that Williamson "was an excellent and hard-working chief whip and the prime minister thinks he will make an excellent defence secretary". Britain, a major member of the NATO military alliance, spends two percent of its gross domestic product (GDP) on defence but the armed forces are facing constant pressure to cut costs. Fallon announced his resignation late Wednesday after earlier in the week apologising for touching a journalist’s knee in 2002, but reports suggested there were other allegations which had not been made public at the time of his resignation. "I accept that in the past I have fallen below the high standards that we require of the armed forces that I have the honour to represent," Fallon said. According to The Sun newspaper, Fallon’s resignation was prompted by complaints against him by the Leader of the House of Commons Andrea Leadsom. She is said to have accused Fallon of making derogatory comments of a sexual nature to her and about other MPs, between 2010 and 2012, the tabloid reported on its Friday front page. The main opposition Labour party has also been hit by sexual assault allegations, the latest of which saw MP Kelvin Hopkins suspended from the party on Thursday. Ava Etemadzadeh, now 27, told The Telegraph daily that Hopkins "rubbed his crotch on me" at a university Labour event in 2014 and subsequently sent her inappropriate text messages. She said she previously reported the allegations to the Labour party. The departure of Fallon allowed May to offer a significant promotion to Williamson, who was her parliamentary campaign manager when she successfully ran to become Conservative Party leader. But the appointment has not been universally welcomed. BBC News political editor Laura Kuenssberg tweeted that a minister had told her that May was "so weak she has let Williamson appoint himself -- this is appalling". The move raised questions about whether the whips’ office had a role in preparing the dossier on ministers that is behind the scandal, and there were reports that Williamson advised May that Fallon may be facing further allegations. "Make no mistake, Gavin Williamson wants to be prime minister. And he knows all the dirt on his colleagues," wrote Tim Shipman, political editor of The Sunday Times newspaper. May’s spokesman insisted that Williamson "wasn’t involved in the reshuffle" but wouldn’t say whether he was involved in discussions about Fallon’s departure. "Where allegations are brought to the whips they are then brought forward and dealt with in the proper way," he said.